The famous Night Noodle Markets in Sydney are a foodie-magnet for good reason, and for so much more than noodles. Each year everyone from gelato and bakery icons to Sydney’s best Asian street food come out to offer their best, often with exclusive one-offs. Get ready to eat your way around as many stalls as possible with fellow food lovers in tow. 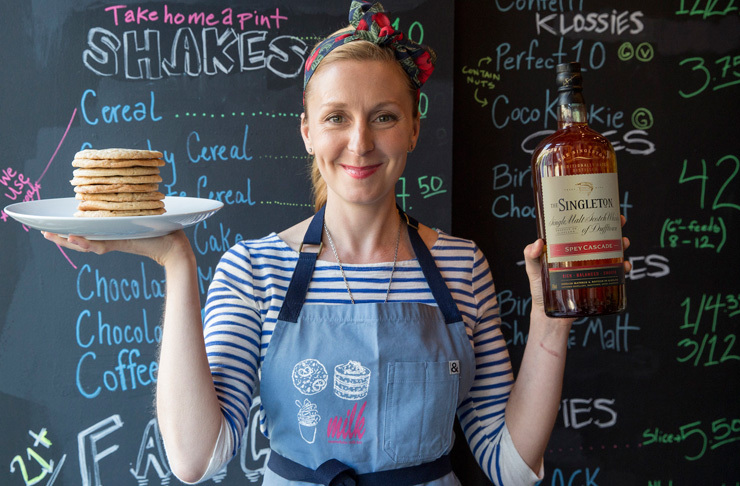 Chef, owner and founder of New York’s Momofuku Milk Bar is coming to Sydney in the form of a pop-up dessert bar featuring an exclusive whisky maple cookie, and cocktails to match featuring The Singleton Whisky. We don’t even know how to mash breakfast, dinner, dessert and cocktails together into one word, but pass that whisky-spiked milk for our cookie and we’ll start brainstorming! You may be wondering what a bakery institution and gelato haven have to do with noodles, to which we would respond: teafogato. Resembling a steaming bowl of ramen, Black Star’s legendary Strawberry Watermelon Cake has married up with N2 Gelato with a Tippity Hibiscus Rooibos Tea Soda and freeze-dried cherries. Have fun ordering that one at high speed. Hand-made noodles are apparently too last century to feed the crowds at the Night Noodle Markets, so Taste of Shanghai are going gangbusters on an auto-pilot chef with biceps of steel. Worth checking out for the wtf-we-live-in-the-future-now moment alone. Oh yes they did. For your carb-in-carb action, hit up the ramen in a hot dog at Ramen Zundo, with either fried prawns or chicken. Choosing will be the tricky bit—that and fitting it all in with any sort of grace whatsoever. You’ll know it’s true love if your date wipes some noodle off your face. The soba kings are bringing their special homemade soba noodle salads to you for a refreshing break from all the fried foods, but they also have a Noodle Market exclusive up their sleeve. Devour one of Jugemu & Shimbashi's special pita pockets stuffed with all the delicious components of okonomiyaki. The question is, do you go for pork belly, teriyaki chicken, or miso eggplant with fennel? 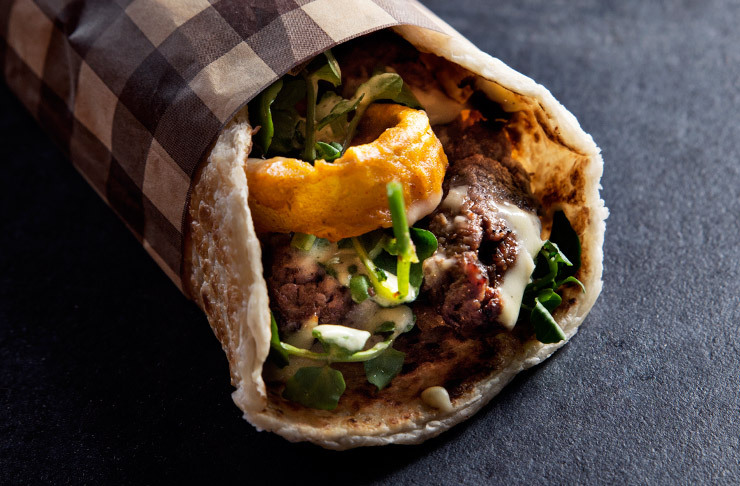 The Bangladeshi street food legends have become so popular for their roti-rolled skewers of delicious that they will be opening a new venture, Trunk Road, dedicated to what they now dub “Roadies” (Indian kebabs). Preview these bad boys in buttery chicken or steak, cheese and bhaji style before everyone else gets their mitts on them. Mamak’s soft, fluffy roti canai keeps everyone happy (even as they join those formidable queues). Add a little egg for a damn tasty meal-in-a-roti, or pay homage to the glory of noodles with the mee goreng. Sate the rest of your Malaysian craving with satay chicken, and remember to grab plenty of napkins! This Japanese favourite is serving up the skewers that made it so well-loved, from the chicken yakitori to the lamb tsukune. We’ll take the crispy squid and pork belly too, please! The Night Noodle Markets run from October 8th–25th in Hyde Park, Sydney. 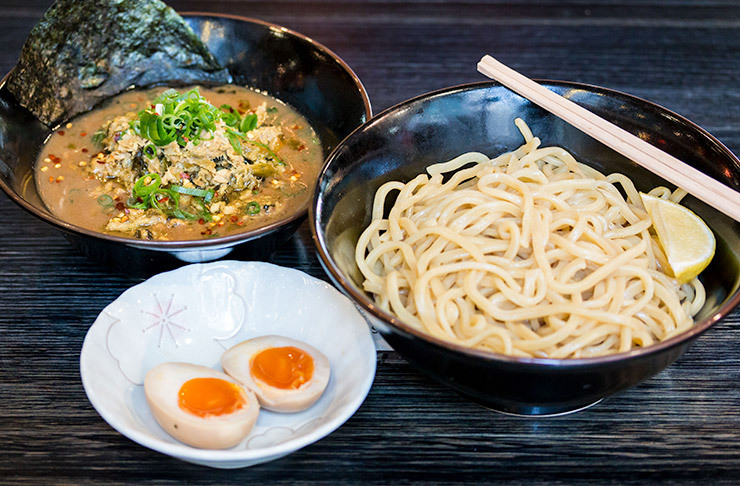 Image credit: Daryll Jann at Night Noodle Markets, The Singleton Whisky and Momofuku Milk Bar, Anita Wilhelm at Ramen Zundo, Bang Street Food.